A 9-year-old Chicago boy was shot and killed Wednesday afternoon in the city's south side Greater Grand Crossing neighborhood. Police say the boy was in the 1200 block of East 71st Street at about 4:05 p.m. when he was shot. The victim's cousins identified the boy as Antonio Smith. They say he was playing with a friend when he was shot twice in the chest. 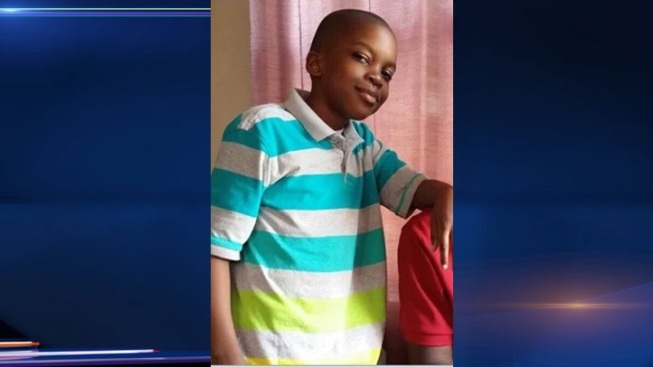 "I just want whoever did it to turn themselves in, because he was a 9-year-old innocent baby and he didn't deserve that," the victim's cousin, Rasheda Eggleston, said. "He was just a child, just a baby, had a whole life ahead of him," another cousin, Kenya Eggleston, said. Neighbor Dave West heard the gunfire. "It's terrible, you know. A young boy that age. I could see the way things are going now, but that's just bad," West said. Investigators scoured the area for clues, searched nearby railroad tracks, combed the back yard and brought out a K9 dog to sniff for clues. Smith was pronounced dead at Comer Children’s Hospital.